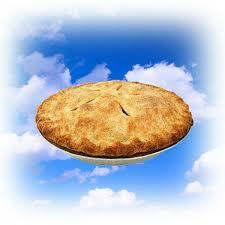 In the past six months, many times I have often wondered if my dreams are “pie in the sky”. People thought Walt Disney was crazy when he purchased 160 acres of orange groves with the plan of opening the happiest place on earth. Walt Disney’s dreams were not Pie in the Sky and mine certainly aren’t either. I know I can do anything I can dream – as long as I put in the work. As long as I can remember, I have dreamed of being an entrepreneur. It’s not about becoming famous or making loads of money – sure those things might be nice but for me it is really about creating something that I and my family can be proud of. There are lots of people that are negative non-believers who will always have something to say about your business. I think it is important to stay strong, build a network of supporters and continue to dream. At the start of my business journey, I was fortunate to get into a business start-up program with Guelph Wellington Business Enterprise Center. The program’s main objective was to write my business plan, learn to pitch my idea and pitch in front of 70ish people in hopes of winning $5000. Wow $5000 – pie in the sky. Well no not Pie in the Sky – I WON!!! It was hard work, it pushed me outside my comfort zone hourly, daily and weekly. I met some amazing, inspiring people and at the end of the day I was successful. Why am I telling you all this – really, I hope to inspire someone or help someone realize that their dreams are not “pie in the sky”. I am reminded of lines for a Disney song “a dream is a wish your heart makes, when you’re fast asleep”. 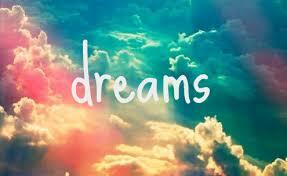 Dreams do come true if you believe in yourself. Often when lying in bed at night, I visualize my dream and while I am not there yet, I work towards it each and every day. The future looks bright!